On March 26-27th, we are hosting a conference at the Ordnance Survey’s conference centre in Southampton. The conference is free to attend, and is aimed at professionals working across the natural hazards agenda, including government, responders, and academia. The conference will focus on the following three streams: surface water flooding, wildfires, and earth observation. 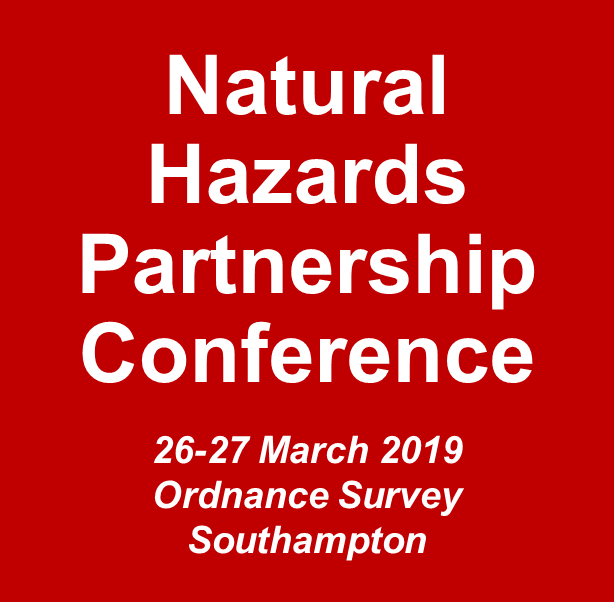 The conference will also include a keynote from Sir Patrick Vallance; the government’s chief scientist who will provide his own unique view on the UK’s natural hazards, and what needs to be done to address the risks. If you’re interested in attending our conference, you can find out more on the EventBrite page.